Between 1869 and 1939, Hunters Point Naval Shipyard performed as a commercial dry dock unit. In late1939 the U.S. Navy purchased the property, and until 1945 the Navy used the Shipyard to repair and maintain wartime vessels. In 1946 the Navy established the Naval Radiological Defense Laboratory (NRDL) on the Hunters Point Shipyard site. The NRDL was tasked with studying radioactive waste disposal, the decontamination of naval ships exposed to testing, and other related studies, including Operation Crossroads. The NRDL ceased operation in 1969, and in 1974 the U.S.Navy deactivated the Shipyard. Between1976 and 1984, the property was leased for commercial use. In 1991 Hunters Point was closed permanently following the Defense Base and Realignment Closure Act of 1990. Due to the past activities that occured on site, action is in progress to clean up the area. This effort is under the guidance of the Naval Facilities Engineering Commmand (NAVFAC). 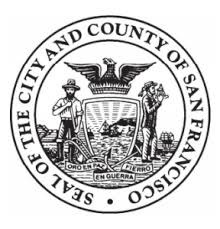 Currently, the Government Information Center (GIC) receives federal documents relating to the cleanup and repair of Hunters Point and Treasure Island. 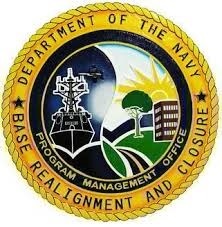 These reports are sent by the Department of the Navy Base Realignment and Closure Program Management's Office (BRAC PMO). Fort Baker and the Presidio have completed the BRAC process, and are now under the jurisdiction of the National Park Service. If you have any questions, please contact the Government Information Center desk on the 5th floor of the Main Library by calling 415-557-4500, or sending an email to governmentinfo@sfpl.org. While various federal agencies may be involved with the transitioning of military base closures, local agencies become active in the process as well. Below are some San Francisco agencies that have information on Hunters Point and Treasure Island. Search the Navy's Administrative Record Index by date, title, or keyword for a document.